His goal was to enter the heavily guarded campus and deliver one of the books to the president of the police academy. It had been a busy week for Jivko Grushev as he presented “The Great Controversy” to university leaders in Bulgaria’s capital, Sofia. One university president thought Jivko was trying to bribe her with the book until he promised that he would not call on her again. Another president suggested that the book be donated to the university library so more people could read it. Jivko replied that he had a copy for both the president and the library. The president accepted the book and immediately called the library to announce Jivko’s forthcoming arrival. Several presidents asked for copies of the book for their campus libraries. After delivering about 100 books, Jivko had three left for the police academy. With the books in a bag, Jivko walked up to the police officer guarding the security checkpoint leading onto the campus. Just as he arrived at the checkpoint, a black limousine drove out. After greeting the police officer, Jivko said he wished to visit the academy president. “The president isn’t at the academy,” the officer said. Jivko realized that the president had just left in the black limousine. “Then I would like to speak with his secretary,” he said. “What do you want to discuss with her?” the officer asked. The officer wrote down Jivko’s ID information and waved him onto the campus. Walking up to the academy’s mammoth administrative building, Jivko wondered whether the officer had called ahead to announce his visit. At the lobby entrance, Jivko was greeted by a gate and a glass booth for a police guard. The gate, however, was open, and the booth was empty. A group of police officers were talking animatedly in the lobby. Jivko boldly passed through the gate and asked the police officers for directions to the secretary. “That way,” a police officer replied, gruffly, pointing to the main doors that Jivko had just entered. Jivko walked out the gate but remained in the building. The police officers returned to their conversation in the lobby. At that moment, a man in his early 30s descended the gray marble staircase in the lobby. He looked at Jivko, and their eyes met. His warm eyes seemed to be saying, “Wait a minute.” The man walked over to the conversing officers and spoke to them. Jivko couldn’t take his eyes off the man. He had never seen such an imposing, dignified-looking police officer. He was slender, with nice eyes and a handsome face. He was dressed in black like the other officers, but his clothes were of a much better quality. No epaulettes were on his shoulders. When the man finished speaking with the officers, he looked at Jivko with warm eyes as if to say, “Now it is done.” Then he walked out the gate, passed Jivko, and left the building. After the female officer jotted down Jivko’s ID information, the male officer said, “I’ll take you to the secretary.” He ran up the marble stairs as if he were being chased, leaping up two stairs at the time. Jivko struggled to catch up. At the top of the stairs, the officer opened the door to the secretary’s office and looked down at the floor as Jivko entered. He stayed outside and closed the door. Jivko introduced himself to the secretary and placed the three books on a small table in front of her. “These are gifts for the president and his vice presidents,” he said. Learning that the president had three vice presidents, he suggested that books go to the president and two vice presidents, while the third vice president could receive a website link to download a free copy. Leaving the academy, Jivko praised God for helping him accomplish a seemingly impossible mission. His mind returned to the handsome police officer. The man had appeared just in time to solve his problem. The books never would have been handed to the secretary without his help. Jivko had no doubt that the man was an angel sent by God at just the right time so he could share the message of salvation. He remembered how Paul describes angels, saying, “Are they not all ministering spirits sent forth to minister for those who will inherit salvation?”(Hebrews 1:14). The encounter changed Jivko’s spiritual life. He often thinks about it. 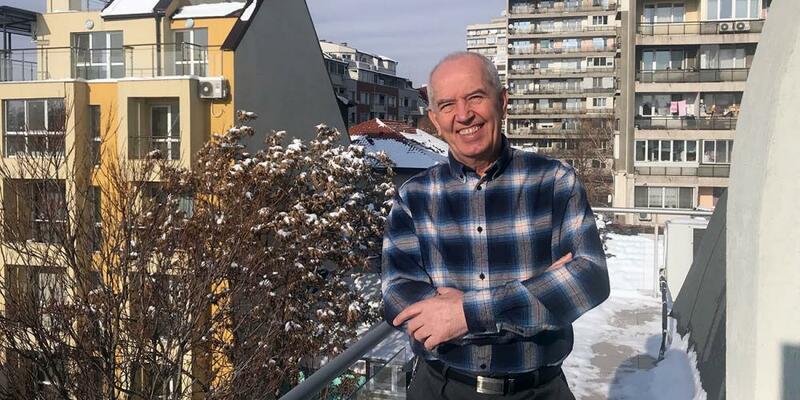 Jivko is an elder at Sofia West Seventh-day Adventist Church, which will receive part of the Thirteenth Sabbath Offering in first quarter 2020 to construct its own church building in Bulgaria’s capital. Thank you for planning a generous offering. Roma Boy Expected Fistfight. He Found God Life has never been the same for Samko Polhoš after he visited the house church in Slovakia.